Remember us? We're back! It's been a long time now. Seven years to be exact, but the team has been brought back as an amateur side for the season. 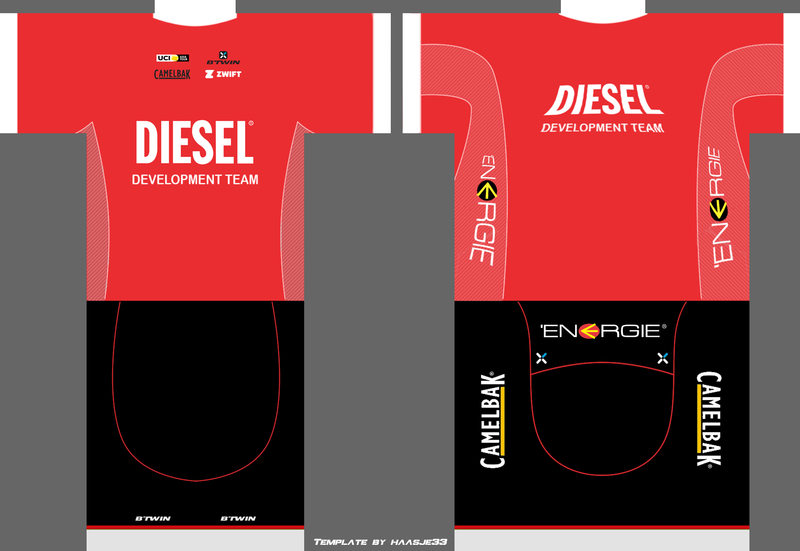 We have a new face too, with Diesel stepping up as the main sponsor while Energie takes a secondary role along others. But we not only look different, we also are different in the sense we are no longer an europe-centered team. We're asian now! Check out our kit and our calendar for the season. We hope to help our youngster develop their talents and pick up a few results along the way, mainly through breakaway attempts. The aim is to let our guys have fun on their bikes. Firstly, the team has decided that the new HQ will be located in Spain. As anounced before, last years' results have compromised our relation to Portugal. Also as there's no PT races there, Cerne, our portuguese sponsor, decided to reduce significantly their contribution to the team. However our major sponsors, Energie and Diesel, have strengthened their conection, so our budget for 2011 will be € 4,904,000. In the transfer window we'll continue to look for Mediterranean and South American riders with a strong preference for climbers. Some though ones here but we'll do our best, and with the effort of the boys and a good season planing we'll do just fine. Even though we were able to secure our best assets, we're still in need of quality riders to attack the goals which were set earlier in the off-season. This means we will be looking for strong GT contenders, mediterranean or south american based, as far as our remaining salary cap enables us. Lots of hours spent burning our administrators asses at the chairs dealing salaries, prizes, bonuses and other painfull stuff for our team's wallet, have granted us our first name for the 2011 season. 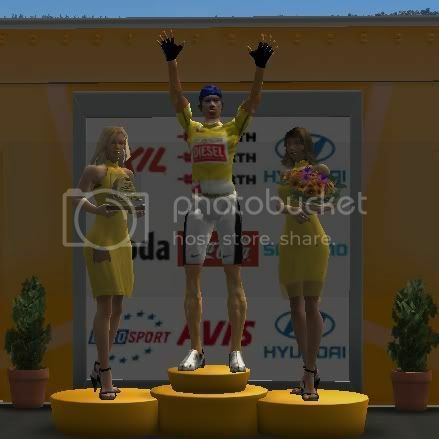 Someone who has already conquered a very good reputation in the worldwide cycling comunity with victories in major races and answers by the name of Luis Léon Sanchez Gil. We hope that with his efforts we may be able to hold on in the ProTour, and above all, finish ahead of Nespresso. Buena suerte Luis. He'll be our team captain and will be focusing obviously in the GTs and other Stage Races. Energie and Diesel have already congratulated us and are now more anxious than never for the Giro d'Itália. Let's hope all of us will finish this endeavour with a reason to smile. Buonna Fortuna Domenico. Time for our first transcontinental reinforcement. He isn't such an excitement acquisition as the later ones but he sure is going to help out strengthen our team and maybe even get some victories. Leonardo Duque is the latest addition to our sprinting contingent and is very welcome to humble amount of professional riders. Buena Suerte Leonardo. The off season is reaching is final days, and so it's time for us to start thinking in the last few adjustments to our squad. With that intention in mind we have celebrated a contract with 3 more riders. First, Elia Viviani, an italian youngster who has impressed our sponsors and will definitely become a very talented cyclist in the future. Daniel Allonca has also become part of the Energie-Diesel family, but will most likely, spend his first season in the Continental Tour where he'll be able to gather much more experience. Last but not least, César Rojas Villegas, the Costa-Rican national champion, who does still have some progression margin and will represent a very helpful addition to our team. Talking about national champions, the spanish one, JM Mercado, is leaving us to pursue other endeavours at Quicksilver-Kraft. After a wonderful season representing our colours, we agreed that it wouldn't be viable to maintain him in the squad as he wouldn't be part of our leaders. Anyway we wish him all the luck in the world with his new team. The Transfer Season ends tomorrow, which means it is time to get our roster finished. 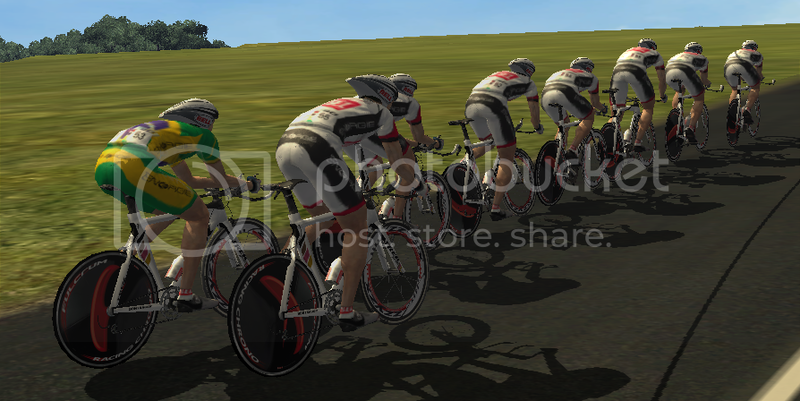 That goal is very close to be acomplished, as we have brought some more riders to our team. 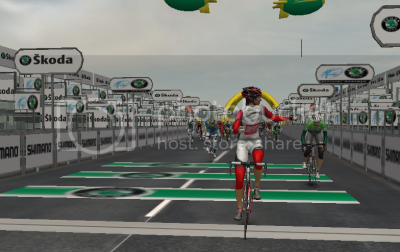 The first one was Jesus Tendero, a good time-trialist bought from Nespresso, needed to backup our TTTs squads. Also we signed contract with Constantino Zaballa, another puncheur to assist our classics leader. Francisco Javier Echarri is racing for us in the upcoming season to learn a few things about the Procycling world which will hopefully help him become a better rider when he returns to Santander. 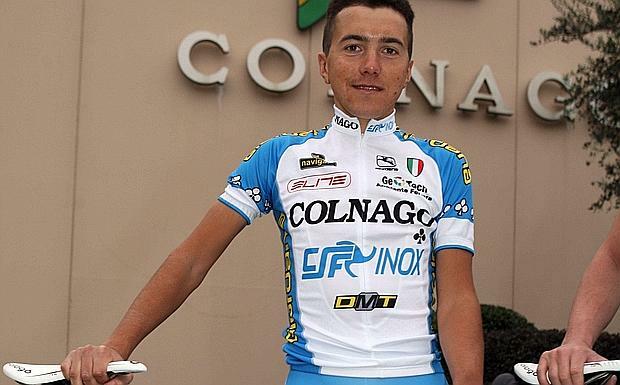 Finally we have also signed another italian sprinter. Davide Viganò is going to be an interesting adition to our spinting contingent, but needs to train hard to become a reliable man for Corioni. On the other hand we have let go 2 other riders. Daniel Allonca who was signed just a few days ago, was loaned to Santander to get more days on the road and more experience as well. Also leaving us is Branislav Samoilev. Pearl-Adidas is his new employer which means he won't move too far away. We wish him good luck with his new team. 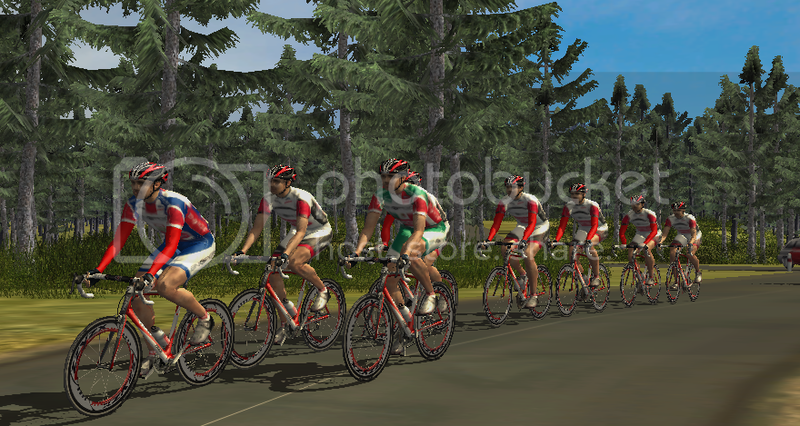 To finalize our 2011 roster we're are just awaiting for the aproval of our last deal. 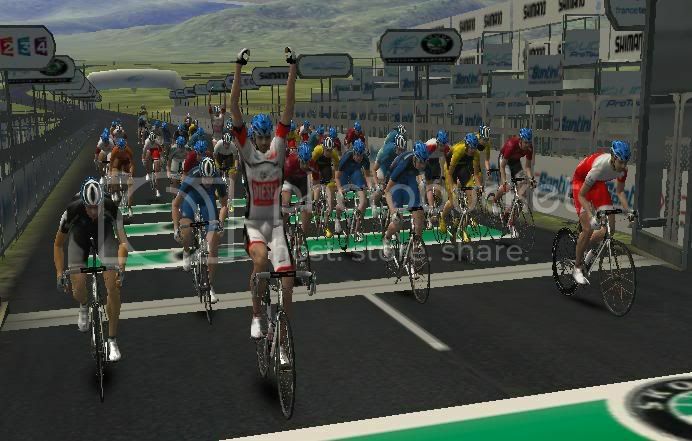 An honduran youngster named Fredy Colop has been given a place in our team, where he'll be riding under the status of Stagiare if all goes well. So see ya in January, or probably before..
Last season 3 of our beloved riders have won their respective National Championships, and so we couldn't let them go to the road without a fancy kit, designed by, yes you've guessed it again, the MI6 shirtmaker, Will007, who we endorse our thanks. For now the team will head out somewhere for a training camp while the board will continue to plan the 2011 season carefully. Stay tuned. The 2011 Season is getting ready to start and as so all the teams have sent their squads to training camps to get their riders fit and prepared for all the racing. As the best team in the world Energie-Diesel couldn't be doing anything different, and so we have sent our riders in 2 training camps. The first group composed by the majority of our South-American guys and all the other climbers have gone to Pais Vasco in order to improve their skills and especially fitness. Rojas Villegas and Pérez Cuapio have already been given the oportunity to try their new kits. The other contingent was composed by our Stage-Racers, Timetrialists and Sprinters who were sent to Galicia. The main aim of this training camp was to provide a basis for them to develop essencially their TT skills. Among them Pedro Nicácio proudly presented his Brazilian TT champion jersey. After a very interesting debut in the cycling world, highlighted by a surprising promotion to the ProTour, Energie-Diesel's campaign through the most demanding division of the sport didn't work out as smoothly as the first one, as the italian side is now facing a very tough situation, holding one of the relegation spots, with only 2 races to come before the end of the season. Giving the difficult situation the team is going through, and the somehow disapointing season the team has had, especially in the second half of the year, questions regarding the continuity of the squad have been raised. To address this particular issue, Mr. Energie and Mr. Diesel have released a comunicate in which they state the following: "As comercial brands we have marketing goals that need to be fulfilled, and as so our participation in the cycling business can only stretch as far as the financial feedback allows us. The 2011 season didn't reach the expectations and demands we had planed for the team, and as so we can't risk to gamble again in a CT team. If you ask us if there's any chance we can continue with the team for next year, our answer would be yes, but it is as slim as the chances of the team not being relegated. That said, we wish the riders the best of luck for the next couple of races. They will be racing for a 2012 contract." And it's over. 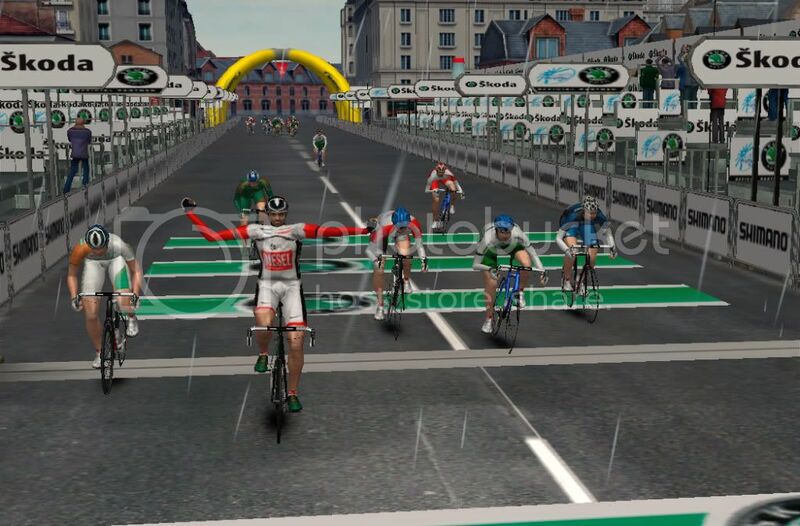 Our adventure through the ProTour has now ended, since we didn't gather enough points to hold on for another year between the biggest sharks of cycling. Yet it is with proud we look back to this thrilling year among the top teams, where we managed to get some notable achievements which made Energie-Diesel's colours in the cycling universe famous. 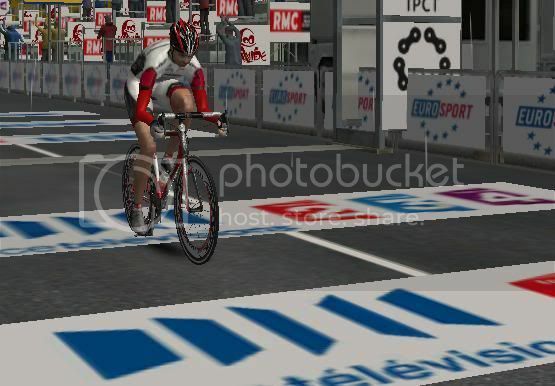 Still all these results weren't enough for our 2 primary sponsors, which led to the sad decision of ceasing the sponsorship of our cycling team. The DS, Gustavovskiy, has flown back to his home country, Portugal, to try and gather the necessary backup to build a new project of his own. However this relegation has been a step back to his career and it isn't expected that he manages to compile the strongest squad in the circuit. Check out our kit and our calendar for the season. We hope to help our youngsters develop their talents and pick up a few results along the way, mainly through breakaway attempts. The aim is to let our guys have fun on their bikes.